Explore the great Taling Chan Floating Market during this 7-hour guided bike tour, available only on weekends. Make your way through the neighborhoods of Bangkok and past waterways and canals as you head to the market for lunch. 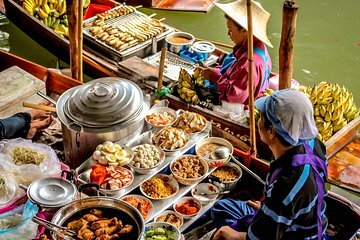 Learn about the market’s history before taking a long-tail boat tour through the floating market and see what makes it so special.